Are you a blogger who is looking for a new professional theme for your blog? Or you just don`t know how to find a professional blog theme? Choosing a professional WordPress theme is a real job. No matter you are a new blogger or an established blogger, the professional theme is something which your blog needs desperately. There are many benefits of using the licensed idea, which you just can`t ignore. Being more professional is always helpful to make more money? Today I am going to tell you how you can find the best and perfect WordPress theme for your blog. Why you WordPress blog need a Professional theme? What mistakes should you not make when choosing a WordPress blog theme? How to choose professional WordPress theme? What is the best WordPress theme marketplace? Or Most recommended theme. Why your WordPress blog need a Professional theme? The very thing is that when you start a blog on WordPress CMS. You need to find the professional theme because of its benefits. There are the things which every professional blog needs. If your theme is not attractive, how can you think that anyone can like your blog? The responsive theme helps you to attract mobile users very quickly. Blog with attractive and fast loading theme always rank higher in search engines results. The professional theme also offers support to help you manage the template and also helps you in the case of an issue. These are the things which you always need in your blog theme to make your blogging business run smoothly. When it comes to choosing a professional theme, most newbie bloggers make a widespread mistake. The most common mistake when choosing a professional theme is to select the free WordPress-theme. If you search on Google, you will find that there are so many free WordPress themes are available for blogs and websites. So you may think why to spend money on purchasing WordPress theme when free themes are available. “The most significant problems with free themes are always hidden. Free theme never offers any support, in the case of any issue you have to deal it with your own, second you also never get any updates. In the premium theme, you will not have any such issues. You get timely updates and full support. Before buying a professional WordPress theme, you should understand the purpose of your blog. Every blog is different, and you should choose the WordPress-theme according to your blog. Video blogging is in trend. Every day more and more bloggers are moving to blogging. If you are targeting designers and photographers, then you should choose the theme where you can easily showcase work of designers. If you want to run a new blog, then you will need a professional magazine theme for your WordPress blog. If you just want to start a text blog, you will have a lot of options to choose simple and fast loading WordPress theme. If you want to create a website for your corporate client, then you may need an organizational theme. If you want to create a website for local clients such as Hotels, galleries, etc., then you can easily choose the theme accordingly. If you want to run a regulated business such as OLX, then you can choose a professionally particular theme for your site. There are thousands of purposes why you need a professional WordPress theme. There is always a WordPress theme available for every use. Every Professional and Premium WordPress theme offers various features. Today I will tell you the main features that every premium WordPress theme must have. You should look for these features in your WordPress theme. This is the thing which makes most of the newbie’s fall for free themes. But they have to pay for their mistake in a long run. You can easily buy a professional and premium WordPress theme below $80. This is a low price to make your blog look professional. Is it allowed for one site only or for multiple sites? Do you get PSD FILES? Do you get source files? If you are a blogger who just wants to start a blog, then you need to buy one site license. When choosing a WordPress theme, you cannot ignore the importance of SEO streamlined theme. SEO friendly WordPress theme is the essential feature. Such template will always help you in SEO of your blog or site. When we talk about SEO, the very first thing is to An SEO friendly theme will help you to do SEO of your blog quickly. Can you set the SEO title and description of description? Visibility of tags and categories. You may find these factors in the theme demo and also in the promotional content of the theme. There are so many browsers and devices available where users can access your site. It is your job to make the website responsive and compatible with every browser and device. You should look for a premium WordPress theme for your blog with device and cross-browser compatibility. It is not easy to find a theme which is fully customizable. You always need to do some modification to make the WordPress-theme look precisely as you want it. Theme with fully customizable option allows you to change the layout according to your need. You will get dynamic sidebars. Before buying a beautiful responsive WordPress template for your blog, you need to make sure that the theme is media friendly. When I say press helpful, it means you can quickly add video and images to display on your homepage or in posts. The theme you are intended to buy should be consistent with Social media plugins. You will use social media sharing plugins and subscription option to boost your followership. The theme should offer social media optimization. When I say WOW, means when a visitor visits your blog, he/she should feel the wow effect. If the theme is not appealing then there is no use of how customizable it is. You can’t ignore the importance of all the factors but looks are always the first impression. Before buying a WordPress theme, you should check the user reviews. The study will help you understand the benefits and challenges you may face if you use that WordPress-theme. It will also help you to know how you can fix some minor bugs. If the theme is user-friendly and highly optimized, you should go for that template. Before buying a theme online, always check the version of the WordPress theme. Make you that you are purchasing the latest version with all the updates. Also, make sure that the WordPress themes you are buying will regularly get all the updates. You can`t just ignore this feature. You never know when you will need the help of the theme developers. In the online world, things can compromise anytime or sometimes you will see that new updates just do not work with old plugging or old theme not working with new plugins. So make sure that you will get support to fix every issue including updating, fixing bugs, etc. These are the best WordPress theme marketplaces. You can get any type of theme according to your blog niche. When it comes to choose a professional WordPress theme for your blog, you ned to understand that there is always a difference between hobby blogger and professional blogger. Hobby blogger just does blogging for fun; professional blogger does blogging to make money online. To become a professional blogger, you need to make everything look professional such as niche, domain name, WordPress theme, hosting and content. 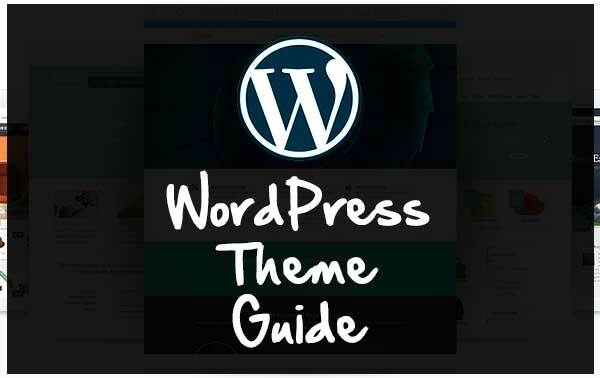 This is the complete WordPress theme guide, which I have created for you to help you how you can choose the professional WordPress theme for your blog or site. So what are you waiting for, grab the best theme for your blog? Don`t forget to share, what you like here.